Mālama Learning Center enjoyed working with the U.S. 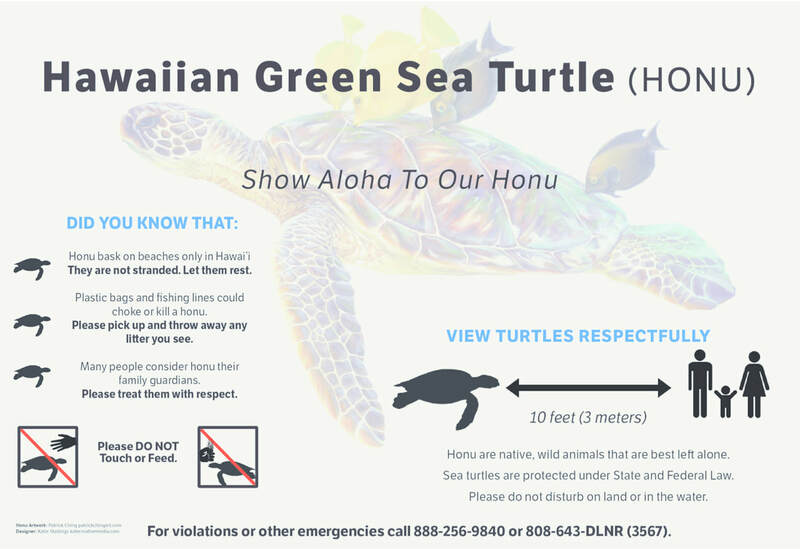 Fish and Wildlife Service's Pacific Islands Coastal Program to build awareness and understanding about respectful behavior around the honu, the Hawaiian Green Sea Turtle. Please watch the following videos created by Outside Hawai'i (OC16) in partnership with the Mālama Learning Center to grow your understanding. Hawaii Viewing Guidelines: Overview. Marine Mammal & Sea Turtle Viewing "Code of Conduct"